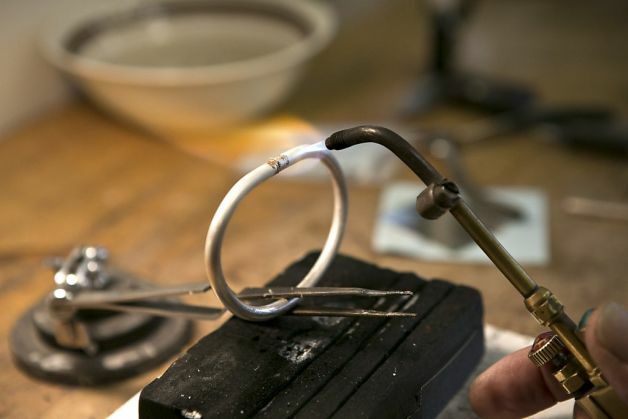 Graduates receive a Jewelry Technician Diploma and may prepare for certification as a Jewelers of America (JA) Bench Jeweler Technician (optional). The 11 required Jewelry Technician classes are offered twice a year during our Open Session. Most classes are 3 days long for a total of 24 hours of instruction. The Jewelry Technician Program can be completed two ways; take classes individually, at your own pace, during one or more semesters of our Open Session. For those who want total immersion, taking the 8-week Jewelry Technician Intensive is ideal.